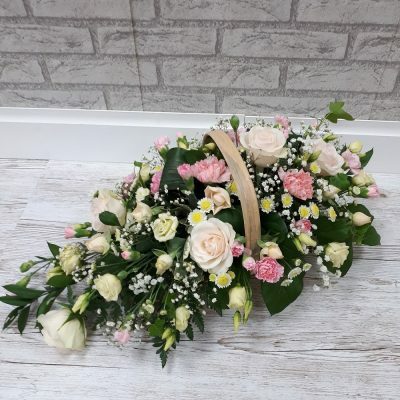 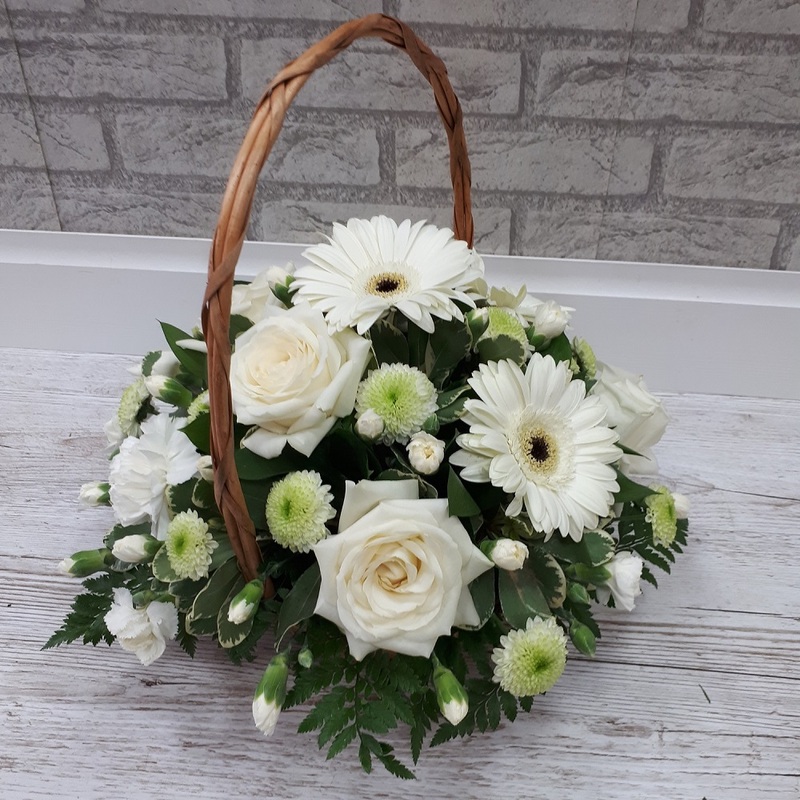 This Basket arrangement is 10 inches (26cm) in height and 15 inches (38cm) diameter. Basket is delivered as shown (no gift wrapping). 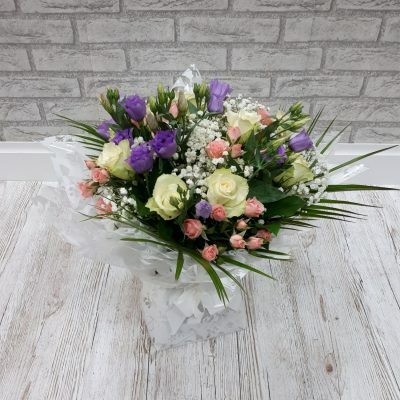 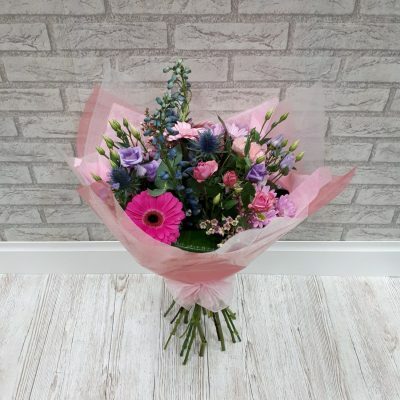 Please note, basket and flowers may vary according to season, availability and quality.